Sayur Bayam is Indonesian Cooking. It is very simple, just need very little time to cook. 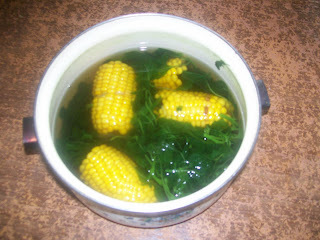 With water, boil the sweet corn. Then add red onion, kunci, and spinach. Add salt and sugar. Serve "Sayur Bayam" with "Dadar Jagung".